We have put together a list of recommended sites to check out for information and resources relating to plastic pollution, the impact on our environment, how we can help, global campaigns and downloadable apps and guides. Mission: to reduce the amount of plastic pollution flowing from Bristol into the Severn Estuary, by creating and delivering innovative campaigns that change and challenge the way we use and dispose of single-use plastics, whilst forming replicable models that can be shared with other coastal and river based cities. Started in Bristol by City To Sea it is now being rolled out nationally and aims to make refilling your bottle as easy, convenient and cheap as possible by introducing refill points on every street. 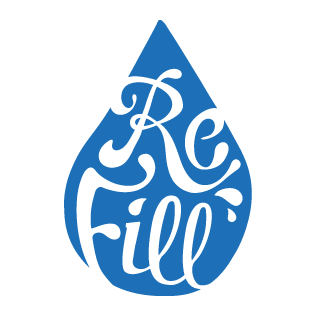 To find out more and download the Refill app, visit their website. A great resource with advice and downloads for businesses and individuals on reducing plastic usage. Lovely infographics to purchase or download. "We’re passionate about raising awareness of the issues caused by the ocean plastic crisis, and our aim is simple – to provide easy-to-action ocean-friendly alternatives that add up to make a BIG difference. We offer inspiration, strategies & products to tackle ocean plastic – for individuals, businesses and organisations of all sizes." An inspiring Mother and daughter led not-for-profit organisation aiming to raise awareness and reduce the amount of plastic pollution that is entering our ocean. Some great articles, events and initiatives shared and organised on their social media and via their website and blog. Surfers Against Sewage is a national marine conservation and campaigning charity that inspires, unites and empowers communities to take action to protect oceans, beaches, waves and wildlife. Regional groups throughout the UK with fantastic proactive initiatives, campaigns and events.